Rep America once again with the Flipper USA for 2016! The evolution of the top notch Divergence Composite Technology extends the sweet spot around the 12" barrel, while also maximizing bat control with a stiff ZnX Alloy handle. The ZnX represents a uniting of zinc to aluminum to produce a heat-treatable alloy that significantly increases the material strength and ultimately gives you a stiffer feel and less flex in the taper at the point of impact. 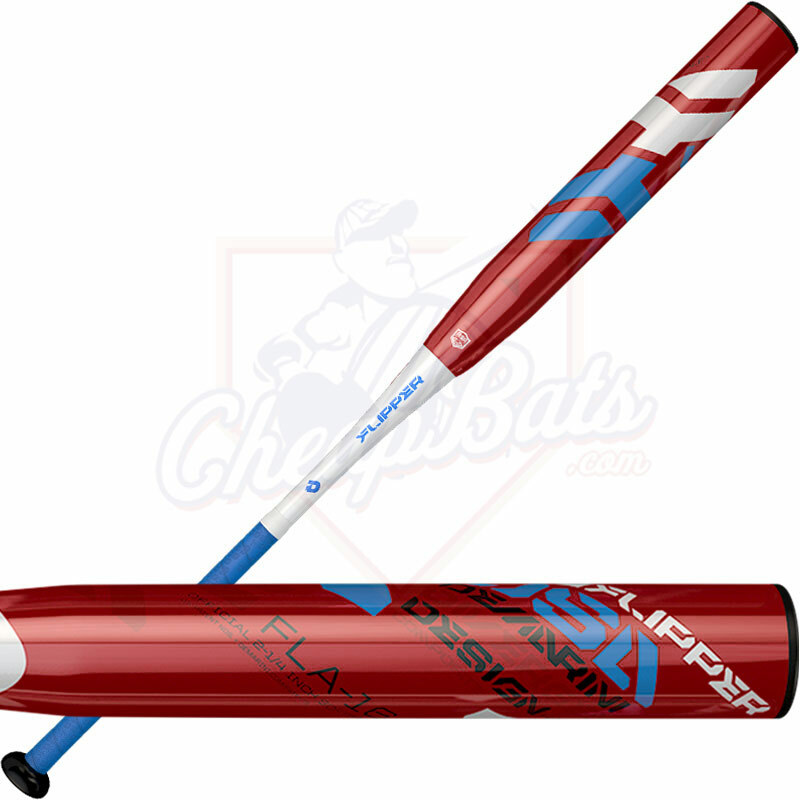 Get your Flipper Aftermath USA today, right here at CheapBats.com! No Hassle Returns, Batisfaction Guaranteed! 13" 12" 13" 12" 12" 13" 11"-12"
Pros: Not big in stature so have always been a line drive hitter. Second game I used this bat I smacked two off the fence and one over for my first out of the park home run! Fence at our field is 290 ft. w/18 ft high fence. So whats not to like about this bat. BTW, I am 65 years old! Cons: So far not a one. 15 of 17 found this review helpful. Pros: LOVE LOVE LOVE this bat. Pulled it out of the wrapper at BP and was hot right from the get go! Can't wait to break it out for regular season! Pros: Lots of pop right out of the wrapper. Sound and feel is great even with 52/300 balls. Pros: This is a super bat and ready the minute you open the box without any break in. Perfect for both line drive hitters and home run kings. Pitcher mounds will become launch pads with the solid feel of each swing. 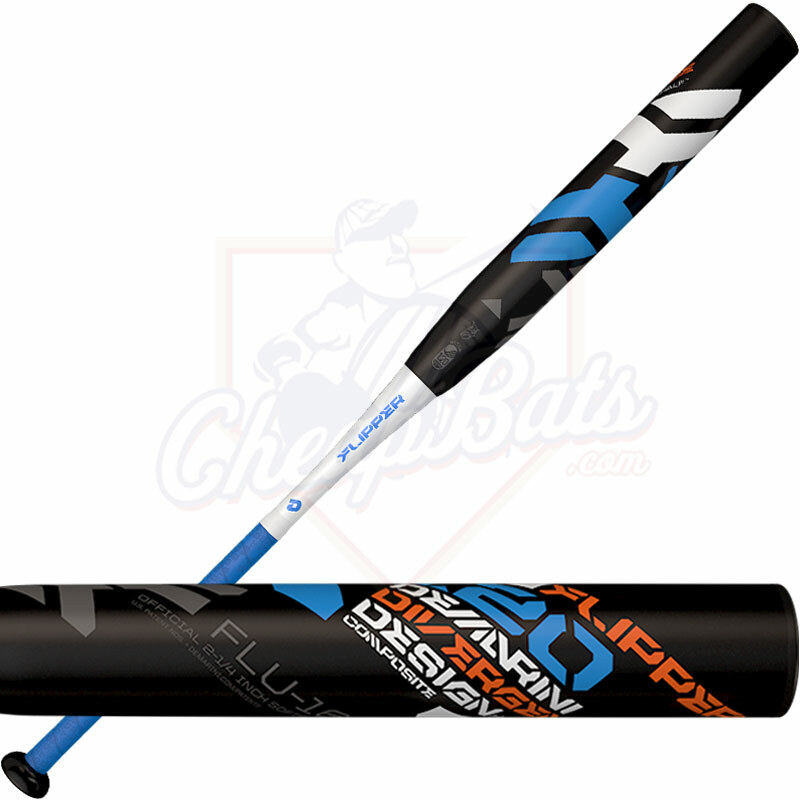 As a long ball hitter when home run limit is reached this bat easily makes line drives easy. Seriously, this bat does it all and is one of the best bats I have ever used!!! Cons: Everyone wants to use it!!! Pros: this bat is hot out of the wrapper no doubt. i love this bat. feels great. Cons: despite every review i can find this bat will not last. had it about 5 months and it was destroyed. sent it back for warranty with zero questions or problems. got my replacement in under a week. first hit with the new one produced a noticeable rattle. now three weeks in and another crack. very disappointed. that being said i will likely buy another one. Cons: Absolutely none to speak of ! Pros: This bat has awesome pop and distance right out of the wrapper. Feels great. The new demarini grip is awesome also. Cheapbats is a great company to deal with. Plan on buying plenty of bats of them in the future. Got the bat at an amazing price. Pros: The feel is great. Claims to be an end load, but feels balanced. Lots of POP. Love the bat. Been playing softball for 30 years and this is no doubt the nicest bat I've owned. Probably going to buy a replacement, while they're still available, in case mine breaks. Cons: My bat seems to have held up well, but guys I know say after a while some cracks appear on the surface. Pros: DeMarini Flipper is supposed to be one of the top ASA bats for 52/300 balls. Had it for two weeks and so far so good. Bat took about 150 hits before it started to open up. If it continues to get hotter over the next 150 hits it will be an amazing bat. Also the fact that you can get this 2016 version at a big discount is great. Don't hesitate, BUY IT NOW. Cons: None at this time. I hope the durability is good. Some of the newer DeMarini's (Juggy, The One) have issues passing compression testing once they get really hot. Haven't heard this about the Flipper and if your league/tourney doesn't compression test, you have no worries. Pros: Great bat. Awesome colors and appeal. Great pop out of the wrapper and can't wait for it to break in. Cons: Needs to break in a little. Grip is a little bit too thin for my liking, but that can be replaced. Pros: Always have been a base hitter now when they scoot in to take my base hit away I have the Confidence to hit the ball over there heads. !!!!! Pros: Its a great looking bat and the end load is on point! feels great in your hands! Cons: the grip is a little light for me, i'll probably change that out. Pros: Solid bat. Ball jumps on solid contact. Pros: The bat is a great swing. Being end loaded you can really feel that as it is traveling through thenhitting zone! Great sound off the bat. Pop is good getting better with every swing. I'm not saying it needed broke in at all just saying that it just gets better. Cons: The grip is a little slick. But I wouldn't really call this a con since it can be changed. Just would have been nice to have a better grip from the manufacturer. Pros: Has an am feel when I hit the ball. I cannot wait to use it more!! Pros: don't have to many hits on bat yet, but seems to have great contact on the 52 core ball. Pros: Used a buddies of mines to see if I liked it a few rounds of bp hitting 52 .300's I bought it with no hesitation. The grip was perfect the weight awesome still a little stiff but nothing a few more rounds won't help. Overall heck of a addition you won't be disappointed. Pros: Hot like fire with mush balls. Teammate had bought one and after I swung it I had to pick one up before I couldn't find them anymore. Pros: Stiff handle, good spring off the bat, grip is nice. Bat swings really well and handle allows to feel the flex in the barrel on contact. Pros: Great bat my team had many hits with this. Good pop without any break in period. Pros: As advertised and for a great close out price. Great performance right out of the wrapper. Pros: Great feel, does not feel end loaded. Bat was hot out of the wrapper. Pros: Hot right out of the wrapper. Definitely one of the best 2016 ASA bats. CheapBats is also probably the best place to buy the bat (quick shipping and best prices). Pros: Killer power right out of the wrapper! Has a great feel and an awesome sweet spot. LOVE THIS BAT!!! Cons: non yet...only been using it 2 weeks! Pros: I got this bat last week just before a game I took it out of the wrapper and hit a bomb without even swinging my hardest. It does need to be broke in some more but for coming straight out of the wrapper it's hot!! I would recommend getting this bat to anybody. Cons: Right now I have none!!!! 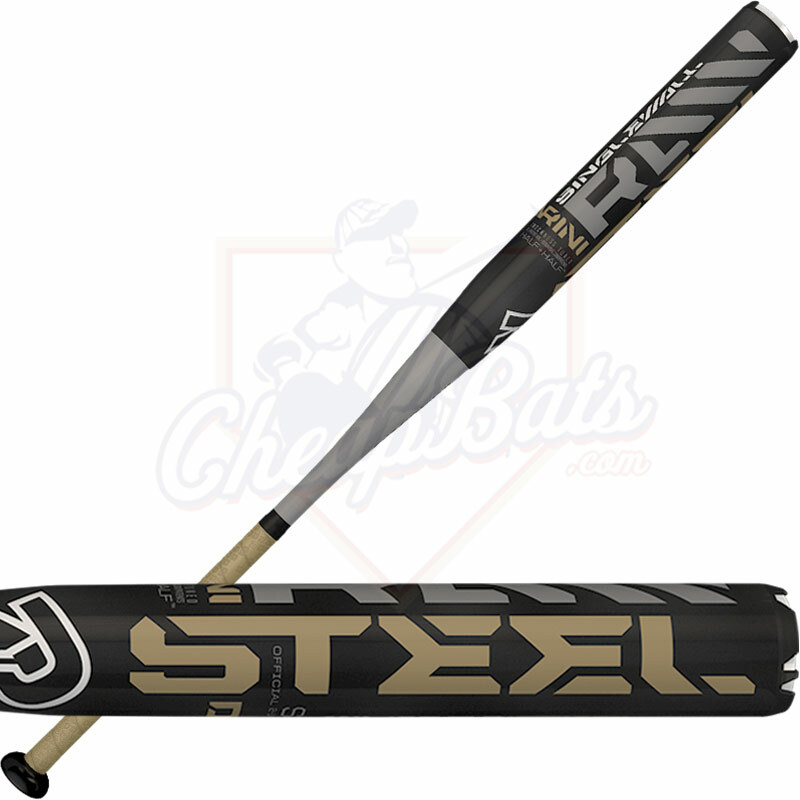 It comes with a nice grip has a great feel to it, doesn't sting your hands when you hit the end of the bat. It hits bombs!! What more could you ask for??? Pros: got this bat for company team, super hot right out of the wrapper. the grip is great, very comfortable. everyone on the team loves it. Cons: none so far, havent had for very long. Pros: Hot out of the wrapper. I have the 2015 Flipper Aftermath OG and really like it, but I wanted the end loaded version. I was able to hit long distances with a mush ball that is used in our league. Great price. It was delivered in a timely manner. I would use Cheap Bats again. Pros: Awesome bat, still breaking it but less than 150 swings and I hit one out of the park! Cons: Can't complain about the product. Pros: If you like the feel of an end-loaded bat, you simply cannot go wrong with this one. 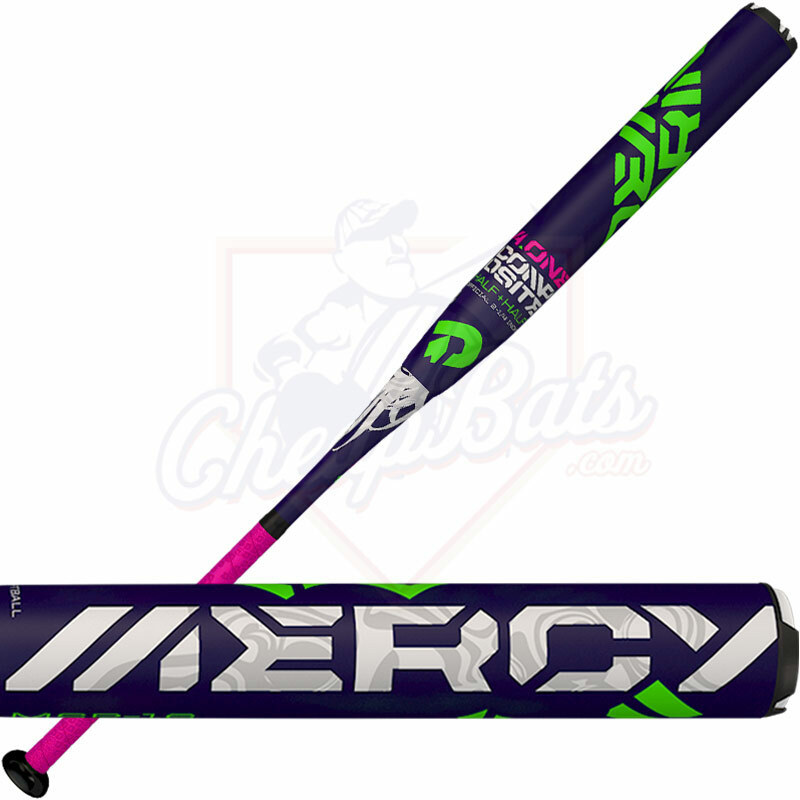 This is a great bat for a seasoned tournament player, a shared team bat, or a bat for someone just starting out. I was swinging the 2015 Demarini CL22 Cluggy before this, and this bat hits harder fresh out of the wrapper. I anticipate it getting better and better once it breaks in. Cons: Very little to complain about with this bat. The only possible drawback I can think of is that it will take a little bit to break in the bat fully, but it's HOT right out of the wrapper. Cons: .not a fan of the grip throw some lizard skin on it and u will be sitting pretty. Pros: Quick Turnaround - did 2 day shipping; bat arrived to my destination in Iowa less than 36 hours from when the order was placed. Order process was efficient and quick. Now on to the bat.... this thing is absolutely great. Came out of the wrapper with balls jumping off the barrel. I can only imagine what will happen as it continues to get broken in. Started off my first night 4/4 with 2 HR's (approx. 320 ft which is a long ways for me). Overall, ecstatic about this purchase at a great purchase. Pros: Bat is hot out of the wrapper. Can't wait to get a few swing on and see what this bat can do. Pros: hot right out of the wrapper. great for end-loaded sluggers!! Pros: Love this bat! Used it in a 6 game tourney and hit 4 HR about 300-350 ft. Bat is hot right out of the wrapper. I still have some time for it to break in, it'll just get better and better. Pros: Hot right out the wrapper. Went to break it in a little on a 295' field. On a tee I put the first 5 to the fence with the next 3 going over. Used in game the next day and it didn't disappoint. 4 at bats 2 homers and 2 off the top of the fence. Even the miss hits were bombs. Great bat, wouldn't trade it for the world. Paint scheme is awesome, everybody was asking about it all day. Cons: The .6mm grip isn't enough. Switched put for lizard grip 1.1mm and bat is perfect now. Pros: bat is great! I was hot straight out the wrapper. I've definitely hit some bombs with this bat and its not even broken in like should be. Cons: Only issue I have is that it has a short barrel. slightly annoying but if you hit it on the right spot it'll go. If I need to return the bat how long would I have to do so, and how would I return it? Hi Josh. Please see our returns page. 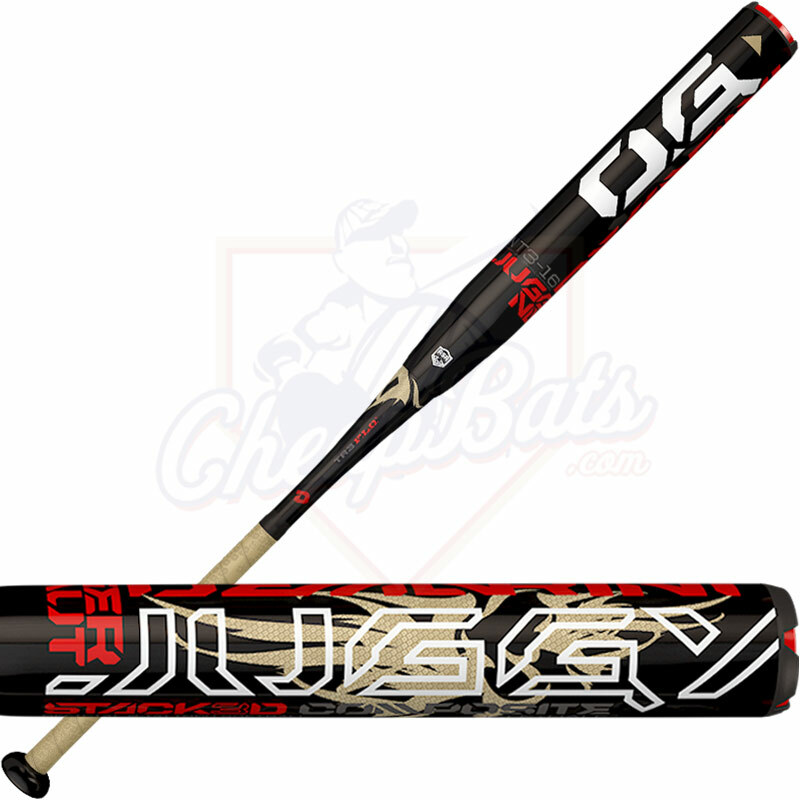 Hi, I just bought this bat for our ASA league and we use .44/375. Is there any risk of damaging the bat if I use it on these type of softballs? Yes, All ASA bats are manufactured for the softer balls, .52/300 or .52/275 balls. The harder balls do risk damaging your ASA bat. Looking to purchase this flipper or the juggy og.. I have watched and read countless videos and reviews. What bat would you say has mlre pop? Or are they both equally matched? Thanks. Both the Flipper Aftermath and the Juggy OG will be equally matched. It comes down to bat preference. 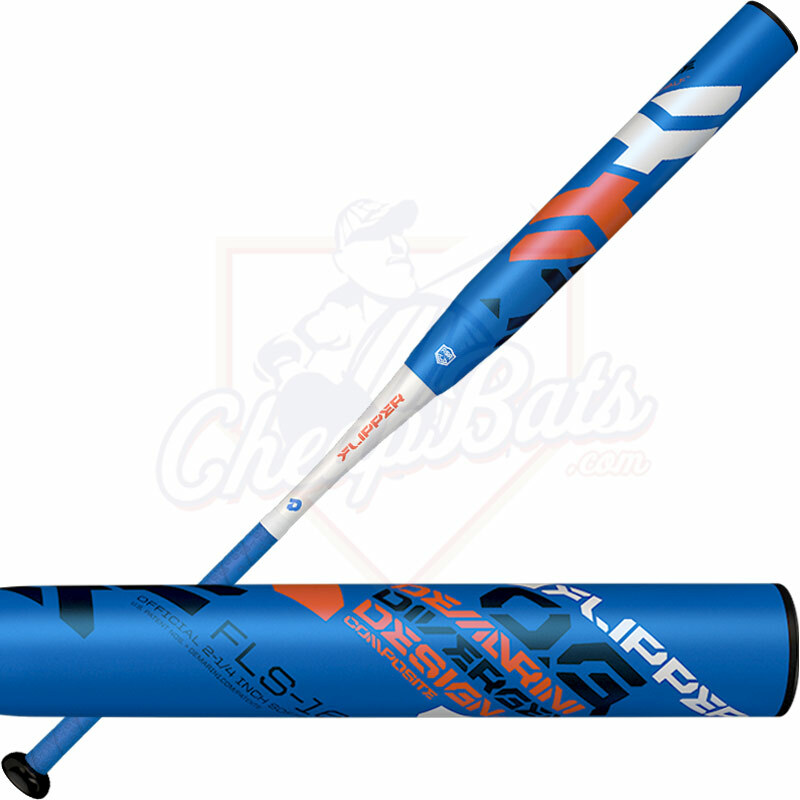 If I swing a 28oz in your blue 2016 flipper should I stay 28oz when I buy this red end loaded bat or go down an ounce?? It all depends on what your prefer. The bat will have an extra ounce at the end of the barrel to make it top heavy. If you prefer a heavier bat go with a 28oz. and if you prefer to feel something lighter we recommend switching to the 27oz. What's the end load on the bat? -1, -2, -3? 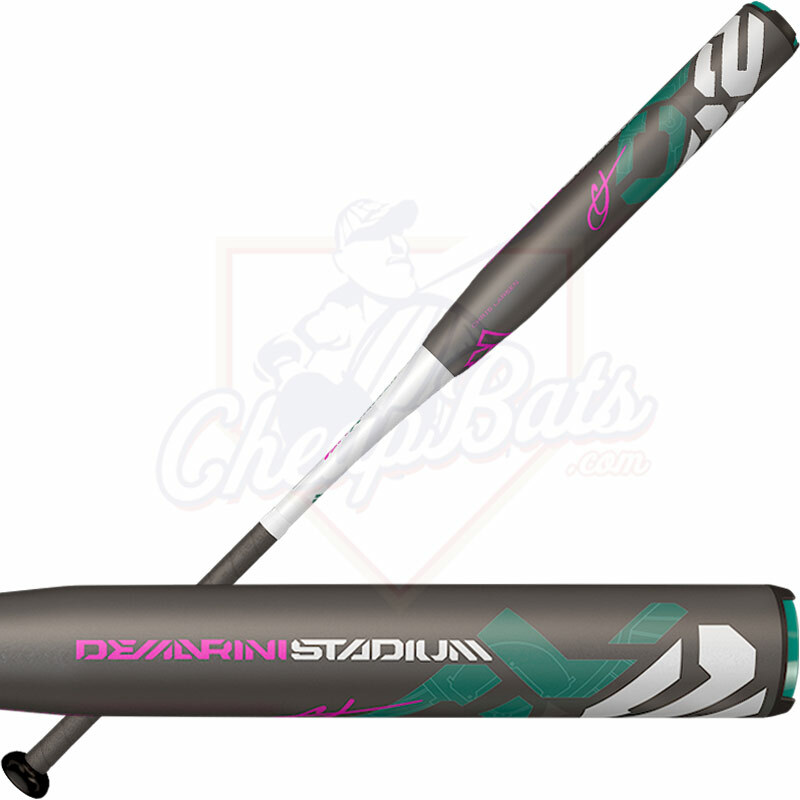 DeMarini does not specify their end load on this bat, but it is estimated to be a 1 oz. end load. is this bat made for the 47/375 ball?